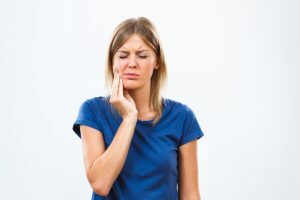 When you experience a dental emergency you can count on two things: 1) It will never be convenient, and 2) It will likely feel scary and overwhelming. The good new is that with the right team on your side such as the doctors at Premier Walk-In Dental, you don’t have to panic. It also helps to understand what to do during a dental emergency. Your dentists in Rockledge discuss how to handle dental emergencies. For teeth that are chipped, gather as many pieces as you can and contact our office right away. There are a number of options that can be utilized to restore your tooth such as a dental crown, veneer, or direct bonding, and our doctors will determine which one best suits your needs. If your tooth has been completely knocked out, time is of the essence and you should contact our office immediately. This is because we have the best chance of saving your tooth during the first hour after your injury or accident. Try to handle your tooth as little as possible and place it back in its socket if you can. If not, transport it in a cup of milk to keep the cells moist and healthy. If your gums, lips, or cheeks become injured the first thing to focus on is containing the bleeding. You can do this with a cold compress and by applying light pressure. Warm salt-water rinses also help to soothe soft tissues. Once the bleeding has stopped, contact our office for further instruction. When your tooth is decayed, injured, or fractured, your root may become infected. A dental infection does not go away on its own, in fact it will get worse if left untreated and put you at risk for tooth loss and further infection in other areas of your body. It can cause severe pain, which will also get worse over time. For this reason it’s important to contact us right away if you begin to feel dental pain or sensitivity. Root canal therapy may be able to preserve your tooth by removing the infected tissue, and allowing your tooth to heal. After the appropriate healing time has passed, your tooth will need to be built up with a permanent filling or dental crown. If you or loved one experience a dental emergency, the first thing to do is to remain calm. Next, contact your emergency dentists in Rockledge so we can get you back on the path to wellness again.